The Reading Abbery Quarter project scooped a prestigious regional planning award this month. 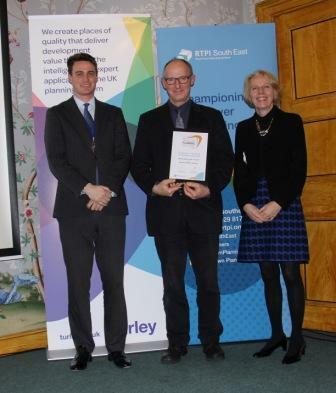 The Abbey Quarter project was awarded the Royal Town Planning Institute (RTPI) 2018 South East Award for Excellence in Planning for Heritage and Culture. The awards celebrate outstanding projects that demonstrate the power of planning in transforming the communities where we live. The judges said they were particularly impressed by the extent that Reading’s heritage is seen as a catalyst for positive change and that the Abbey Quarter is at the heart of the town’s cultural renaissance. They highlighted the Council’s positive attitude to balancing heritage protection and being a destination for locals and visitors alike; and the creation of a strategic cultural and heritage strategy for Reading.